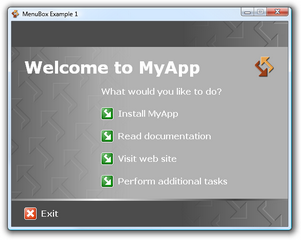 The following screenshots illustrate dialogs and sample content included or created with MenuBox. Example 1, Example 2 and Example 3 are also available for stand-alone download. 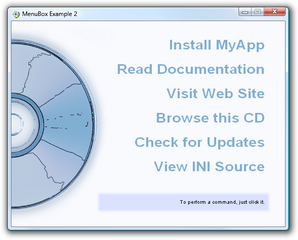 They do not require installation, just run the included MenuBox.exe to view the desired example. Click on the images below for additional details. 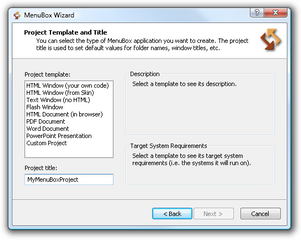 Different panels in the MenuBox Wizard allow you to create a complete project with only a few mouse clicks. 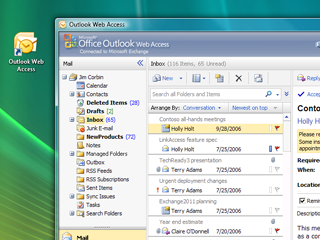 This example uses the lightweight text menu system (no HTML). Is it a web page, or an application? Using MenuBox as a wrapper, it can be both! 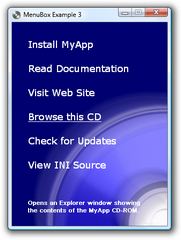 Amiga Forever is a commercial project (www.amigaforever.com) where MenuBox was used both for the AutoRun dialog and as an application launcher. 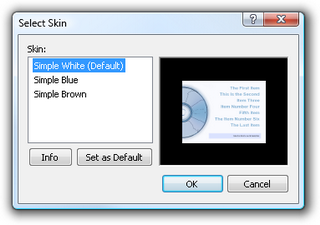 It makes full use of HTML, CSS, scripting and most MenuBox features. It only takes three lines to do something as simple as opening a document via AutoRun (which normally can launch applications, but not open documents on all versions of Windows).